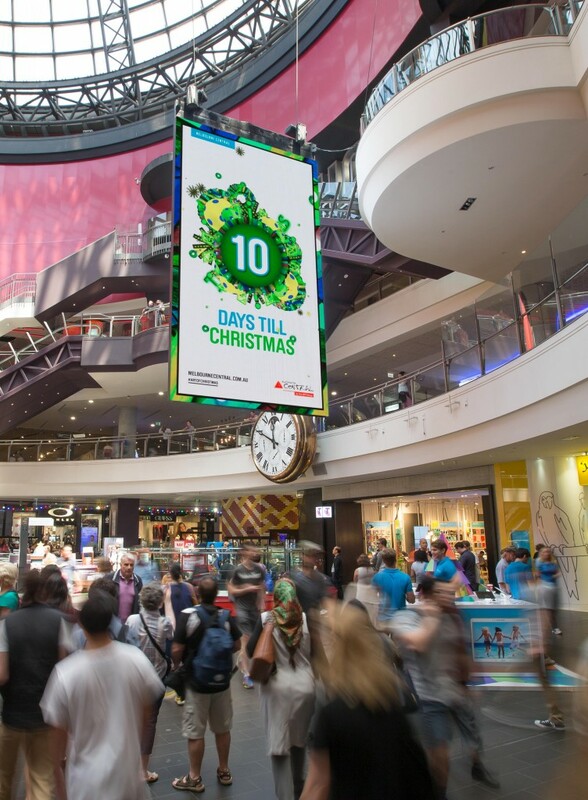 The double-sided 6.7m x 3.8m NanoLumens 6mm class hi-resolution LED display is suspended in the iconic conical shaped atrium of Melbourne’s busiest business, entertainment, transit and lifestyle crossroad. The banner’s elegant slim form factor is only 165mm deep. Melbourne Central is a landmark retail property located in the Melbourne Central Business District. GPT’s redevelopment of the retail component in 2005 converted a traditional regional shopping center into Melbourne’s premier retail, leisure and lifestyle destination. Surrounding the historic Shot Tower, Melbourne Central features contemporary fashion retailers as well as a vibrant entertainment precinct. 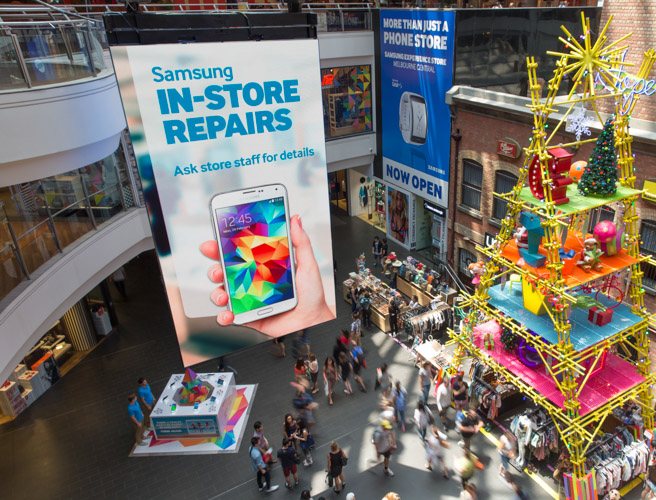 With over 300 retailers, the shopping center covers two city blocks and is conveniently located directly above the Melbourne Central train station. The NanoLumens solution delivered on all of GPT’s key objectives including – light weight, high resolution, slim form factor, high sustainability credentials including negligible radiated heat and a high percentage of recycled components. “The location of the display couldn’t be better,” Thorley emphasized and NanoLumens is the only manufacturer and marketer of LED display solutions that backs up its claims for reliability with a six-year, zero failure warranty. The NanoLumens solution was recommended by Digital Place Solutions. The displays were installed by AV systems integrator Mediatec Asia Pacific.